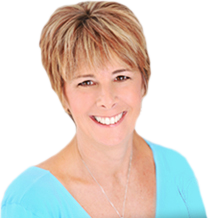 Choose from Karen’s two transformational forty day online programs which you can take at your own pace from the comfort of your home and sacred space. 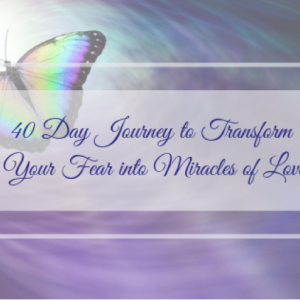 Forty days is about spiritual transformation and breaking down the ego. If you are ready to make the choice to spend quality, sacred time with yourself, each day, then you are ready to witness miracles take place in every aspect of your life. 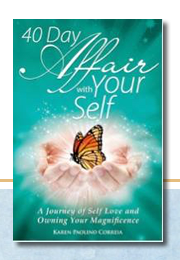 The intention during this time, is to get to know your authentic Self and to discover your truth, your dreams, and ultimately to become one with all that love is. Both of these journeys have everything you need to support you in creating this outcome. View cart “What Would Love Do? 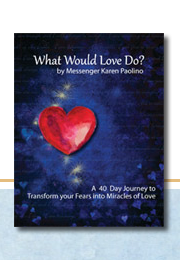 A 40–Day Journey to Transform Your Fears Into Miracles of Love” has been added to your cart. Fear did, indeed, take over my life, but not the way I would be able to recognize it. It was subtle, and I forgot about self-love. If I had not been sent your contact, I would not have awakened to the levels under which I’ve buried my self-love and all that goes with it. WOW! !